Sadiq Khan, the Mayor of London, and the US Department of State, in separate messages, congratulated Iranian filmmaker Asghar Farhadi on winning his second Academy Award for Best Foreign Language Film. 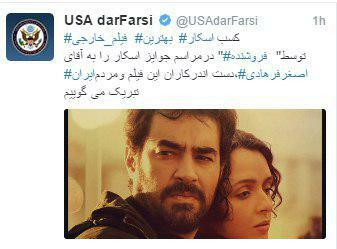 The US Department of State in a Farsi post in its Twitter account offered its congratulations to Farhadi, the cast and crew of ‘The Salesman’, and the Iranian people for winning the Academy Award for Best Foreign Language film. The London Mayor Sadiq Khan, who had organized a public screening for Farhadi’s film in Trafalgar Square of London in support for the Iranian filmmaker’s anti-Trump stances, congratulated him on the Oscar he received. 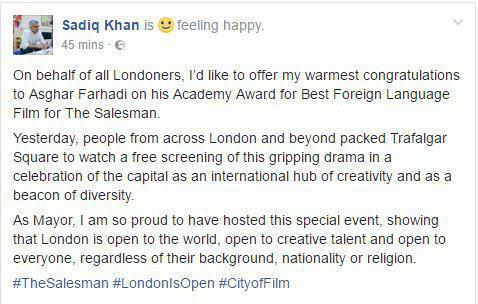 “On behalf of all Londoners, I’d like to offer my warmest congratulations to Asghar Farhadi on his Academy Award for Best Foreign Language Film for The Salesman,” Sadiq Khan noted in a Facebook post. 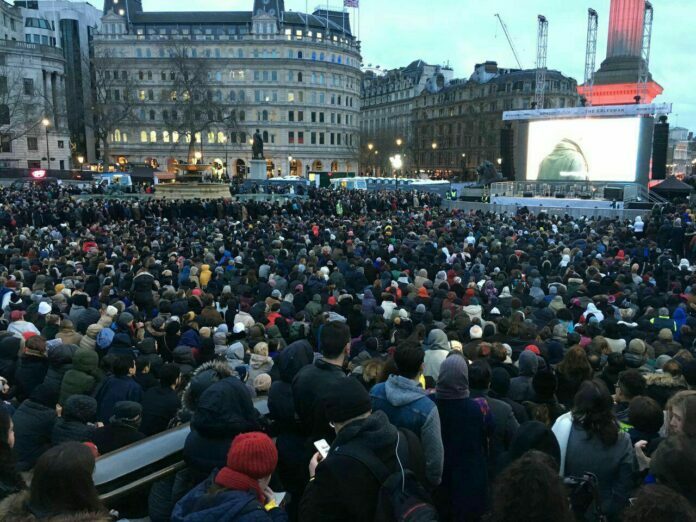 “As Mayor, I am so proud to have hosted this special event, showing that London is open to the world, open to creative talent and open to everyone, regardless of their background, nationality or religion,” he went on to say.